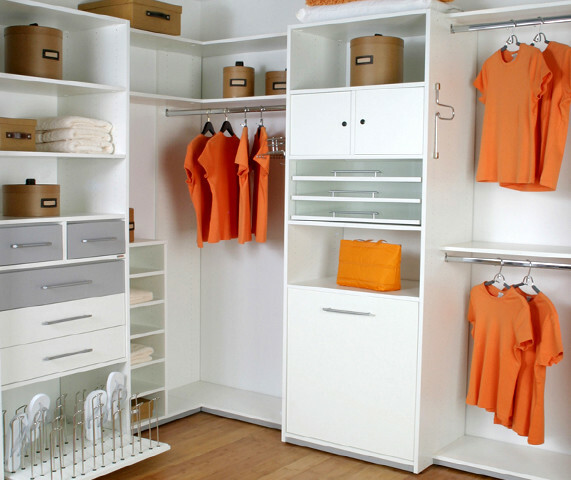 Find solutions for your closets or general storage. Winter clothes are rather vulnerable to pests and small disasters especially during the spring and summer months. Water damage may occur from flooding or even leaks, but most damage comes from small, flat-winged moths. Wool, down and fur are their favorites, while mohair, angora, camel hair and silk can also suffer damage if not careful. Proper storage is essential to keep clothes intact and fresh year after year. Garment bags to store your clothes. A cedar chest or set of drawers. Cedar hangers to hang your clothes. Plastic storage containers, Garbage bags. If you see moths flying into your home, make sure to catch and dispose of them quickly. You may need to have an exterminator come out however, as the real threat from moths comes from the harmful eggs they lay. It is essential to hand wash and dry-clean all of your winter items before you store them. This will make sure the larvae and eggs that may have accumulated as well as any hair and skin residue that may nourish anymore deposits are eliminated. Fold and roll up any garments that you can and make sure they are placed in storage containers that have air-tight lids. Make sure they fit neatly in the far corners of your closet, attic or garage. If you are not able to keep plastic storage containers in your home, store clothes in seal-able plastic garbage bags instead of paper bags or cardboard boxes. Paper and cardboard provides too many entry points for moths and will not be able to prevent water seepage. Try to invest in a good quality cedar chest in order to store your winter clothes. you can also use a hand-painted or hand-carved chest as a nice living room table as well as clothing storage. Make sure to hang your winter coats and suits on cedar hangers and store them inside garment bags. If hanging is not possible, lie the coats and suits in a safe place away from carpet beetles and water. Include cedar chips or some lavender and rosemary sachets in your storage containers. Since chemicals in mothballs can be harmful to your winter clothes it's best to not use them unless you absolutely have to. Use cedar papers or herbal pouches in order to protect summer clothes from moths by tucking them into drawers. Substitute the plastic garbage bags for garment bags if you can. Gently put clothes into the bag, press all the air out and tuck and fold the ends around the hanger. Make sure to seal well with tape. If possible, make sure to replace cedar or herbal sachets every 3 months. Furrs benefit well from professional storage. If you can, check your phone book for companies that are able to offer temperature controlled storage units. Avoid spraying clothes with moth repellent as it may damage the clothing or cause stains. If you've ever asked yourself what to wear, more often times than not, you've stumbled into your wardrobe, going through just as much clutter as well as necessity to just to find out what it is you are going to wear. Fortunately with a little bit of organization, and some daily maintenance, finding the perfect outfit can be less stressful. Keeping the clothes in your closet organized doesn't have to be a daunting task, let us take a look at what you can do to make your closet a little cleaner. How Many Times Can You Wear a Shirt Before Washing It? Need Help Cleaning Out A Messy Closet? Do You Need A Walk In Closet? Running Out Of Closet Space?